WOW!!! 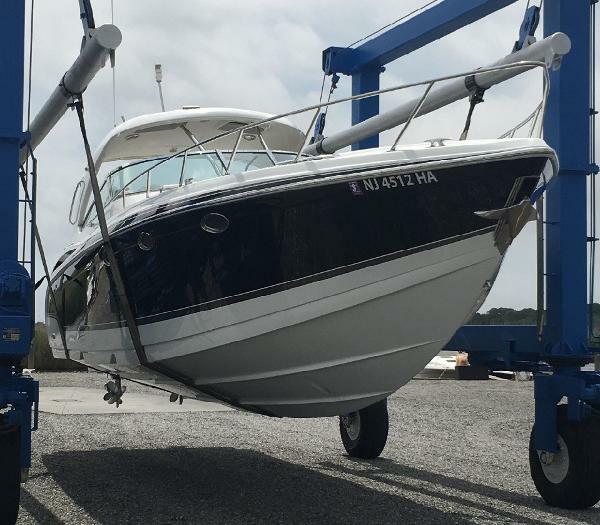 IF YOU ARE IN THE MARKET FOR A BOAT TO QUENCH YOUR NEED FOR SPEED YET ACCOMMODATE THE FAMILY, THIS 2009 FORMULA 400 SS IS THE BOAT YOU HAVE BEEN DREAMING ABOUT. DESIGNED BY JOHN ADAMS AND METICULOUSLY BUILT BY FORMULA, THIS IS THE BOAT FOR YOU. POWERED BY HER OPTIONAL TWIN MERC. 525 EFI'S W/BRAVO 3 XR DRIVES AND HER FAS3TECH HULL DESIGN PROVIDES A SOFT COMFORTABLE RIDE IN ANY SEA CONDITION. THE OPTIONAL BOW THRUSTER MAKES DOCKING A BREEZE. HER STUNNING BLACK HULL SETS HER APART FROM THE FLEET! NOT TO BE OVERLOOKED, HER POSH CRUISING AMENITIES INCLUDE AC/HEAT, STAND UP VACUFLUSH HEAD W/STALL SHOWER, COMPLETE GALLEY & GENERATOR. THE COCKPIT'S OUTSTANDING LAYOUT OFFERS PLENTY OF SEATING FOR FAMILY & GUESTS. AN EXCEPTIONAL POKER RUN CONTENDER! LIFT KEPT WITH NO BOTTOM PAINT, SHE IS AT OUR BRICK NJ LOCATION AND READY FOR YOUR INSPECTION. COME TAKE A LOOK YOU WILL NOT BE DISAPPOINTED. ***OWNERS CHANGE OF PLANS HAVE HIM MOTIVATED TO SELL!! !